FBI chief Andrew McCabe faces three separate federal inquiries into his behavior | Circa News - Learn. Think. Do. WATCH | The acting FBI Director Andrew McCabe is the focus of three separate federal administrative inquired into allegations about his behavior as a senior bureau executive. Acting FBI Director Andrew McCabe, a central player in the Russia election case, is the focus of three separate federal administrative inquiries into allegations about his behavior as a senior bureau executive, according to documents and interviews. The inquiries remain open but so far there have not been any adverse findings against the senior FBI executive, who soared though the ranks the last few years to become deputy director and acting director since James Comey was fired. FBI officials and McCabe declined comment. 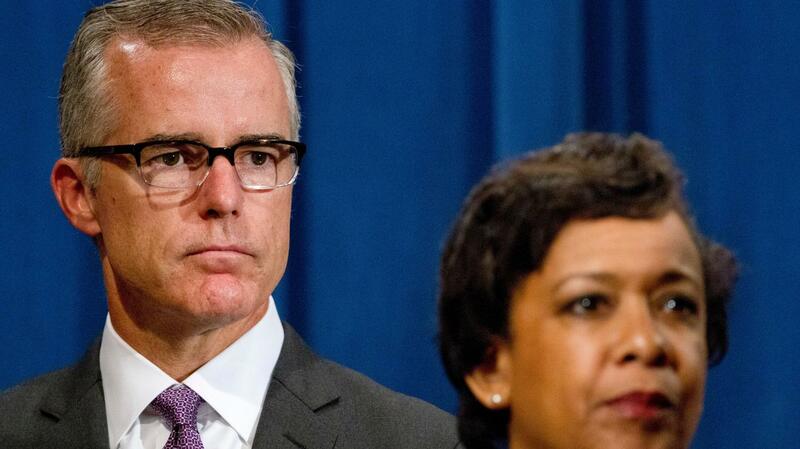 Circa reported Monday that former supervisory special agent Robyn Gritz, a decorated counterterrorism agent, has filed a sexual discrimination and retaliation complaint that names McCabe and other top FBI officials. That is working its way through the U.S. Equal Employment Opportunity Commission, and is awaiting a review by an administrative law judge in the Office of Federal Operations. Gritz also filed a complaint against McCabe with the main federal whistleblower agency in April, alleging social media photos she found show he campaigned for his wife’s Virginia state senate race in violation of the Hatch Act. Related:Did the FBI retaliate against Flynn? The OSC told Circa that complaint is still being actively investigated. In addition, the Justice Department Inspector General is investigating allegations from Senate Judiciary Committee Chairman Charles Grassley, R-Iowa, that McCabe may not have properly disclosed campaign payments to his wife on his ethics report and should have recused himself from Hillary Clinton's email case.